Embattled socialist incumbent Nicolas Maduro won Venezuela’s presidential election by a landslide in a disputed vote marred by irregularities and mass absenteeism that led his main rivals to call for a re-run to prevent a national social crisis from exploding. As the results were being announced, residents of downtown Caracas just a few blocks from where Maduro supporters were celebrating banged on pots and pans in protest. Falcon accused the government of buying votes and dirty tricks to boost turnout among poor voters most hurt by widespread food shortages and hyperinflation in what was once Latin America’s wealthiest nation. A social crisis years in the making has worsened as Venezuela’s oil production — the source of almost all of its foreign income — has collapsed to the lowest level in decades and financial sanctions by the Trump administration has made it impossible for the government to renegotiate its debts. More than 1 million people have fled the country in the past two years and 14,000 percent inflation has crushed the minimum wage to less than $2 a month. 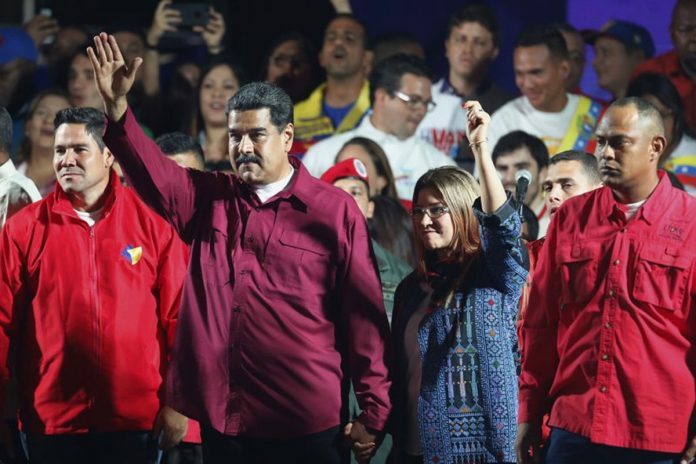 Maduro, 55, immediately called for dialogue with his opponents and put the best face forward on what analysts said were nonetheless disappointing results underscoring how vulnerable his hold on power remains. Despite energetic campaigning his overall vote haul slipped by 1.6 million from 2013, when he was first elected after Hugo Chavez’s death from cancer. “Sooner or later, they all break in the face of threats from the imperialists,” he said, pleading with the U.S. to reconsider its belligerence. Under Venezuela’s electoral law, any political activity must take place at least 650 feet (200 meters) from voting centers. But most “Red Points” were just a few steps away. 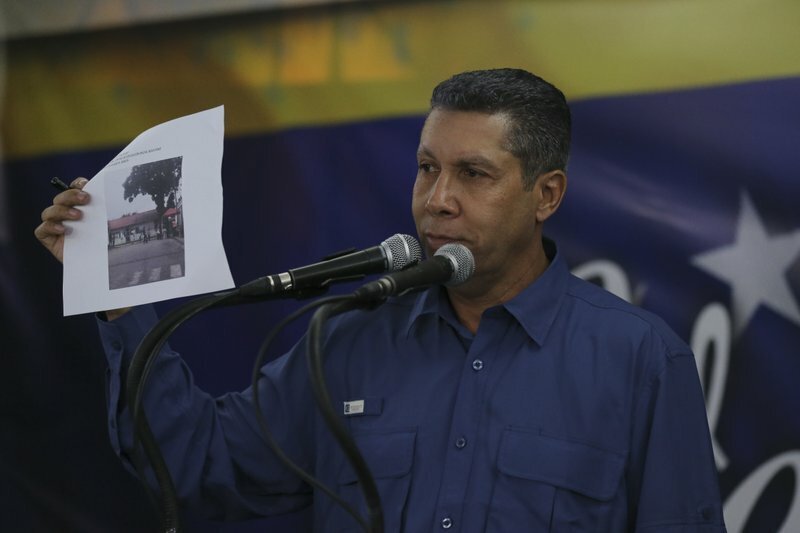 As in past elections, government supporters driving around in vans with Maduro posters could also be seen transporting voters to polling sites. “This was a farce by a dictator that wants to stay in power without popular support,” said lawmaker Juan Pablo Guanipa, speaking on behalf of the newly created Broad Front coalition that had been behind the stay-at-home strategy. 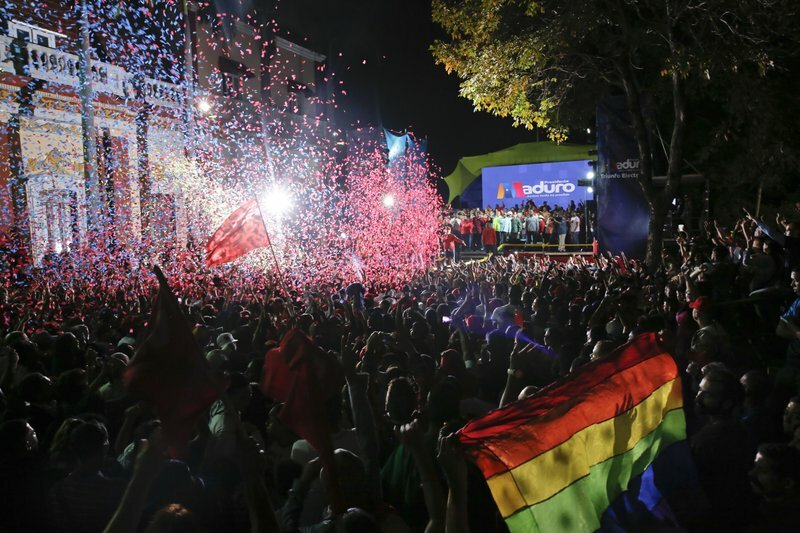 Opinion polls say the overwhelming majority of Venezuelans distrust the electoral council. Turnout figures in last year’s elections for a constitutional assembly, which the opposition also boycotted, were inflated by at least 1 million votes, according to the company that provided technology for Venezuela’s electronic voting machines for more than a decade.